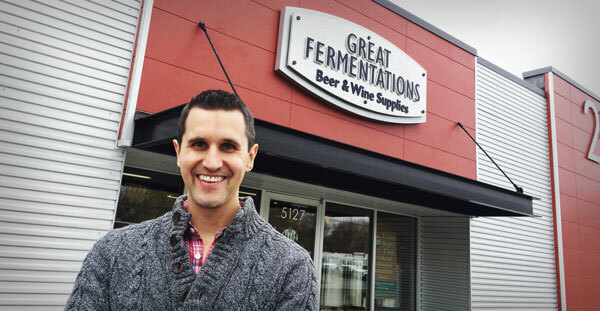 Great Fermentations is a one-stop shop for home beer and wine makers. Since 1995, they’ve been providing beer and wine enthusiasts with the equipment, ingredients, and resources they need to get started and grow in the hobby. By tapping into the ever-growing craft beer and wine scene, and offering a wide variety of classes and workshops out of their two Indiana locations, it didn’t take Great Fermentations long to gain a foothold in the local market. However, it wasn’t until DemandJump entered the picture that Great Fermentations began to see any traction online. We sat down with Bryan Johnson, the eCommerce Director at Great Fermentations, to talk about their journey with DemandJump and how our technology has completely changed the way they do business. Keep reading to see how our actionable marketing insights turned Great Fermentations into an ecommerce leader in their industry. Prior to our engagement with Great Fermentations, their online marketing strategy was fairly nonexistent. “We were running ads and putting products on our website, but we weren’t optimizing anything or being cost-efficient with our spend,” said Bryan. That’s when Shawn stepped in to turn things around. Using the DemandJump technology to get an inside look at what Great Fermentations’ competitors were doing in the marketplace, we made recommendations on how Bryan could start driving revenue with online sales. After implementing a new affiliate marketing program and a revamped PPC strategy, new customers starting pouring in to the Great Fermentations website. Great Fermentations’ total revenue. Through DemandJump’s predictive insights and actionable data, Bryan and his team were able to tip the scales and find serious traction in the competitive ecommerce marketplace. The DemandJump platform enables businesses to maximize their revenue. “Using technology like this is the only way we could have gotten visibility into what we should be doing next when it comes to digital marketing,” said Bryan. Competitor insight is key to the growth and ultimate success of any business. However, simply knowing what your competition is doing to market themselves is just one piece of the puzzle. To make those insights valuable and thus, actionable, you need direction on what to do next. Should you mimic the same marketing strategy as your competition, or should you pursue another route? DemandJump’s technology not only addresses these questions, but also provides calculated, tangible solutions. Are you ready to unlock your marketing and revenue potential? Learn more about DemandJump and our new predictive technology here. Great Fermentations is a home beer and wine making supply shop based in Indiana. There large selection of fine, fresh ingredients and quality equipment is everything you’ll need to make a great fermentation. Whether you’re a beginner looking to learn about making your own beer and wine, or a seasoned veteran, they’ve got what you need to help you and your craft. Learn more about Great Fermentations here.